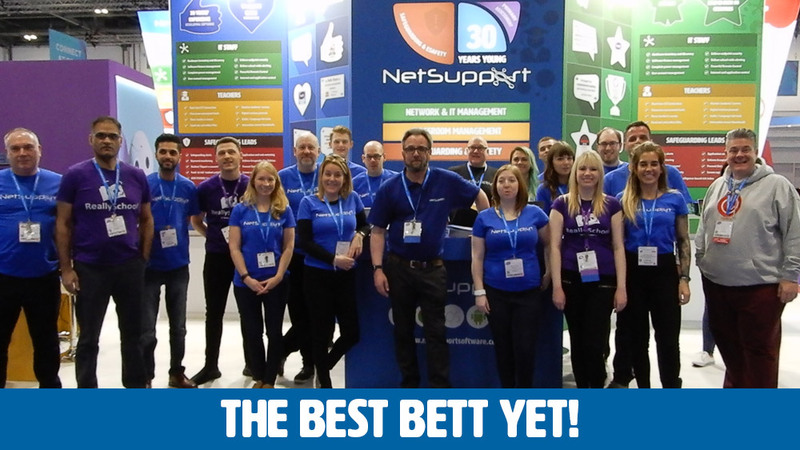 With over 800+ leading companies, 103 exciting new edtech start-ups and over 34,000 attendees from the global education community, Bett 2019 was one of its biggest and best yet and, for NetSupport, it was non-stop for the entire duration! The team was busy showing the latest product features to visitors, whilst we had back-to-back industry experts speaking in our presentation zone on the latest edtech topics. NetSupport Radio was also in full swing with its host Russell Prue bringing you an exciting mix of entertaining and informative interviews from top education sector guests. It was also great to see members of the ANME stop by to catch up with our special guest Rick Cowell, as well as lots of interest received from visitors interested in GoBubble. To catch up on everything that happened at Bett 2019, listen to our NetSupport Radio podcasts, or watch our short video to see our amazing Bett 2019 experience.